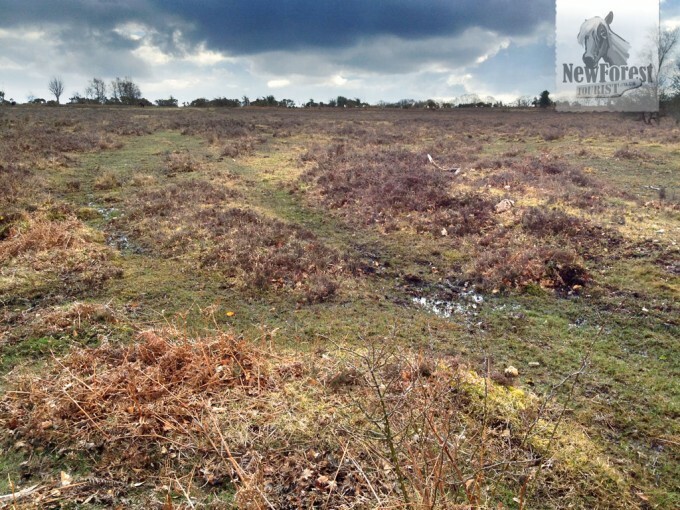 Walk Start / Walk Finish: Eyeworth Pond, Fritham. 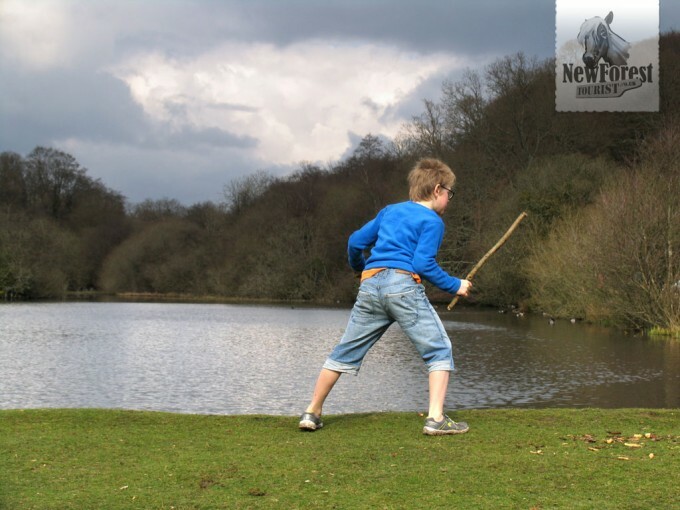 Parking: Free Parking at Eyeworth Pond Car Park. 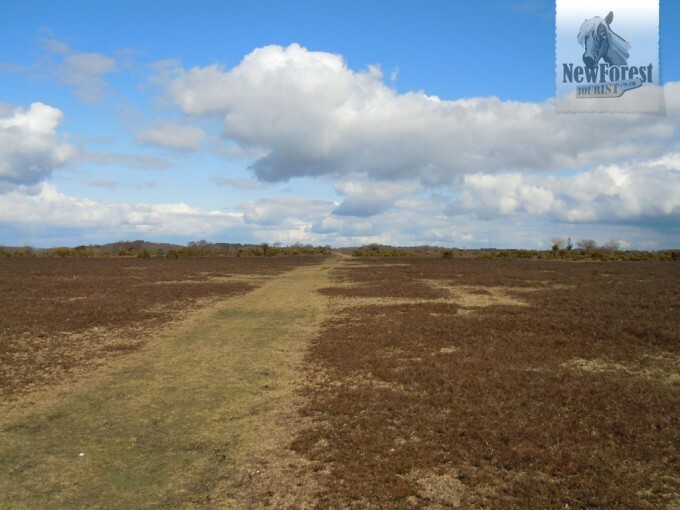 Defining Features: A large plateau of grassy heathland halfway around features sweeping views of the surrounding forest. Pros: The Royal Oak pub is en route which is great news for Ringwood Brewery fans. Cons: The route can be quite crowded. Powder Mill Post: This post box was put here by the Shultze Gunpowder Factory, which operated near Eyeworth pond from the 1860s until the early 20th century. The post box was erected to make the postman’s life easier in the days before delivery vans. Postal charges were one penny for letters and half a penny for newspapers (in the days when there were 240 pence to the pound!). 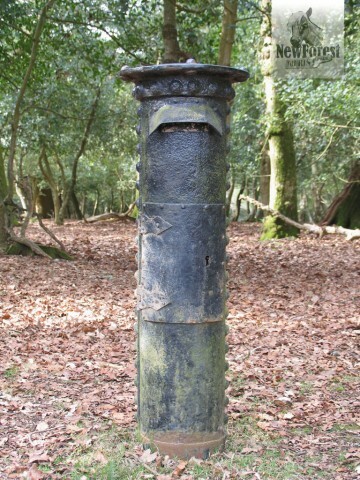 The post box was recently restored by the Forestry Commission. 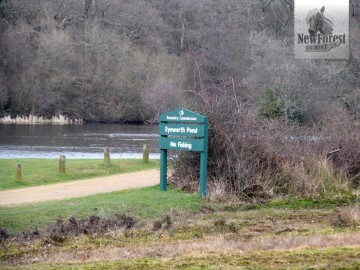 What the plaque does not reveal is the fact that Eyeworth Pond was actually created by the gunpowder factory, as was the path leading away from it into the woods at the start of the walk. 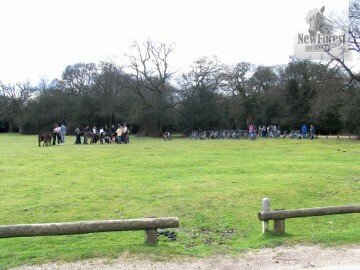 At the bottom of the hill is the Eyeworth Pond Car Park. After ambling down to the edge of the pond (the concrete lining of the pond betrays its manufacture) and casting an appreciative eye over the surrounding woods, wildlife and general loveliness of the area, the traveller turns to the right and strikes out onto a wide track shrouded in trees. 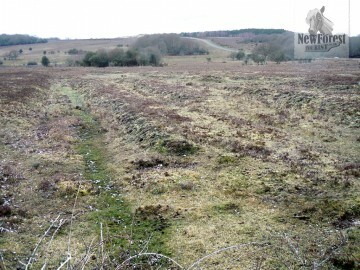 It’s not too long before the track leads out into more open heath as it begins it inexorable rise, passing trees that rise steeply up to the right and a grassy, heath covered vista over to the left. 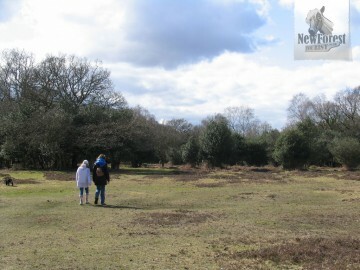 The higher the New Forest Tourist walks, the more the view to the left opens up. 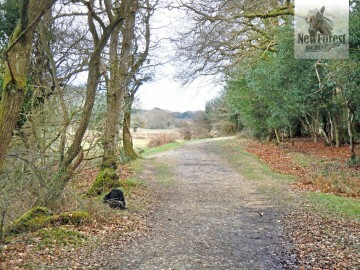 To the right the trees gradually give way to open heath as well, rolling up into the near distance. 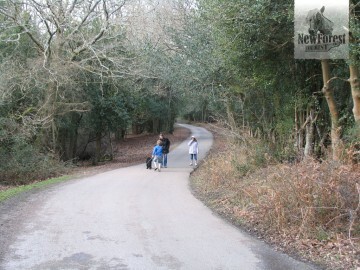 Today, though, the New Forest Tourist is barely making 2.5 miles; perhaps a longer walk will be in store next time! As he approaches the main road the path straightens and is lined with low gorse and the occasional bush. The traveller keeps going towards the road until some large undulating grooves appear in the ground on the left. Opposite these grooves is a short path that leads towards a squat gorse bush by the main road. At the bush the grassy pathway continues to the right, cutting through the low heath, mercifully leading away from the road. 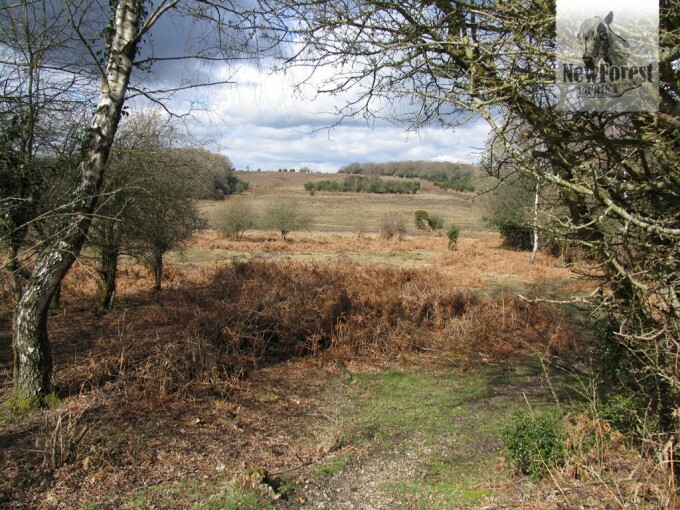 If at this point the walker crosses the road and heads over Longcross Plain towards the woods in the distance, he will come across Longcross Pond which appears as a thin, silver ribbon in front of the trees. Today though, the route he takes is off to the right towards the Howen Bushes in the distance. From this far away they are invisible, merging with the woodland behind them. 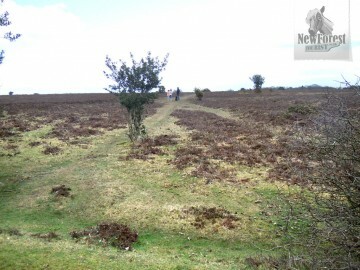 This section of the walk is a grand, grassy plateau that rewards walkers with sweeping views ahead, to the right and behind (see the photo at the top of this page). On the left are enclosed fields, lined with trees. Through the trees are glimpses of agricultural Fritham; farmland and fields rolling away into the distance. When first our tourist arrived at the woodland straight ahead, after passing through the now apparent Howen Bushes, it wasn’t at all clear where the path continued. Today, however, he continues to the left, passing through the trees towards the fenced-off fields where he finds a path running alongside the boundary. 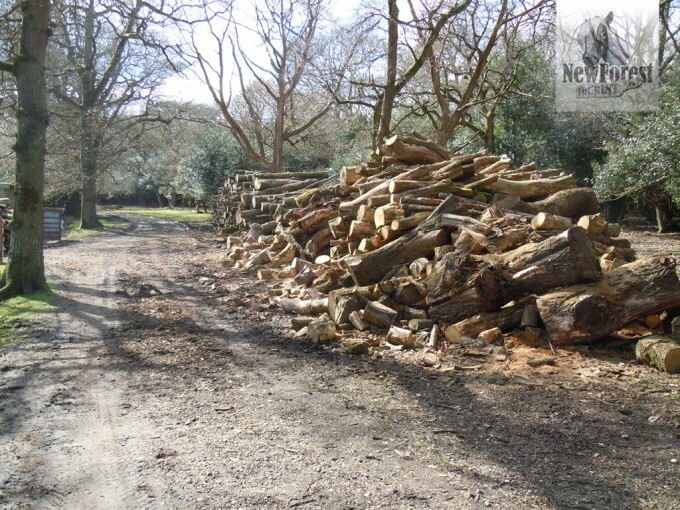 The path soon becomes a rough farm track that passes by barns, piles of freshly cut logs for the wood burners of the New Forest and eventually a bungalow on the left. To the right is woodland, muddy and dense. At the end of the path can be seen a bright green patch of grass, perhaps with a pony or two staring curiously at the other tourists that have gathered near the car park to rest before continuing to their various destinations. 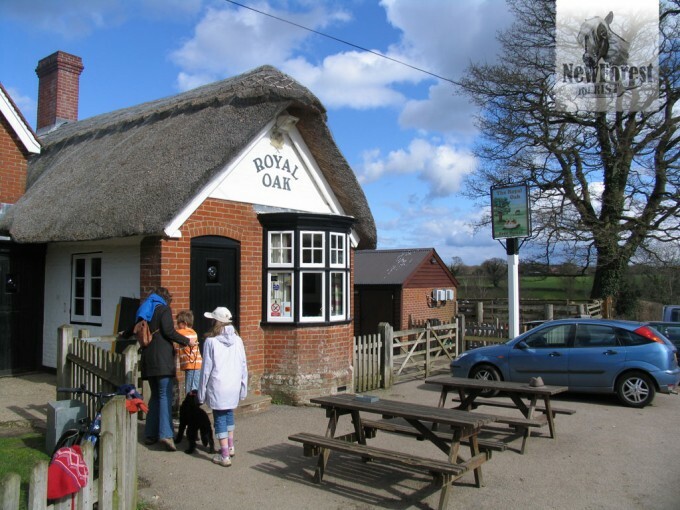 As path meets road, the little Royal Oak pub can be found to the left. Having just passed the large beer garden, the New Forest Tourist feels that a swift half or two of Ringwood Best Bitter might be in order, along with a light, although not inexpensive, ploughman’s lunch. After paying in cash (no credit cards are accepted here; old fashioned ways meet modern prices) and finishing his beer, the wanderer turns right out of the pub and ambles down the narrow road towards Eyeworth Pond. This is the same road he drove down earlier; once again he passes the cylindrical black post box on the left. On foot he gets a better opportunity to gaze over the open forest on the left towards the bottom of the hill, by which time he is back at the car park.